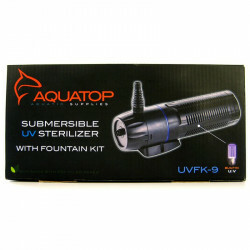 Welcome to the Aquarium UV Sterilizers superstore! No one likes a green or dirty aquarium. The idea, after all, is to be able to watch and enjoy the beauty of the water, plants and fish that you've put so much effort into cultivating. When an algae bloom erupts and turns the tank a gross shade of green, all of that is ruined. And without something to prevent it, that will happen, and sooner rather than later. Ultraviolet light is an ideal solution. 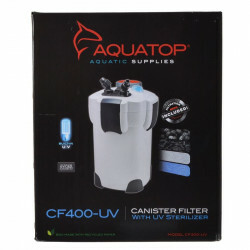 Installing a UV clarifier/sanitizer in your aquarium filter will provide clean, safe sanitizing power to kill the spores and cells that lead to algae in the first place. 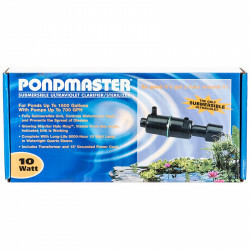 UV sterilizers are safe to use and will not harm plants or fish, while keeping your aquarium water crystal clear. 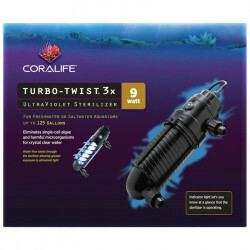 Pet Mountain's Aquarium UV Sterilizers store features top quality products from some of the most trusted names in aquarium maintenance and water treatment, including Aquatop, Lifegard Aquatics, and Oceanic. 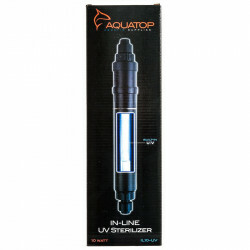 The Aquatop Submersible UV Lamp is a perfect way to effectively eliminate free-floating microorganisms and disease-causing pathogens. As water is pumped through these units, the efficient UV lamp clarifies and sterilizes the water, providing clear, healthy water. 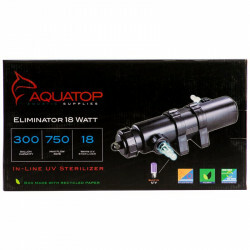 The Aquatop Submersible UV Sterilizer with Pump is a new and innovative method for eradicating and controlling free-floating micro-organisms as well as disease causing pathogens. Unlike typical UV sterilizing systems, the submersible UV sterilizer requires no special plumbing and is easy to use and maintain. 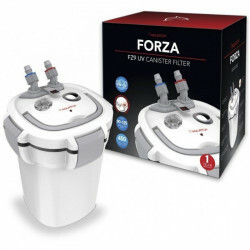 Simply place the sterilizer directly into your tank or sump system up to the waterline. The built in pump will draw water in, running it past the UV bulb. 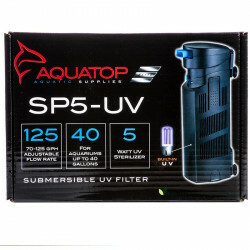 The Aquatop Power Filter with UV Sterilizer is a revolutionary and flexible hang-on design that makes installation effortless. 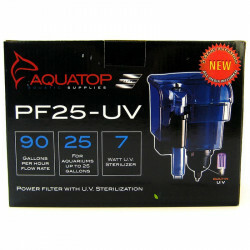 The PFUV Elite Series is equipped with an internal UV Sterilizer Bulb to help control unwanted algae blooms and eradicate free-floating parasites such as Ich.